An integral part of RMA’s event ethos is that every event we stage should support and promote the environment through which it runs. 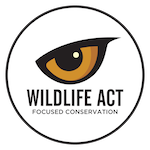 In this regard we have formed strong and lasting partnerships with entities such as Ezemvelo KZN Wildlife, the Endangered Wildlife Trust and Wildlife Act. Whether it is raising funds or providing platforms at our events for these bodies to promote their visions we are privileged by the association and proud to be able to contribute. Some of the projects we have been able to support are listed below. In addition to our association with conservation we have also been fortunate to be able to assist and support several schools and other institutions including CANSA, Underberg Primary School, Underberg Pre-Primary, Faithway College, Noah’s Ark, The Honorary Officers, Mountain Club of SA and Clouds of Hope. RMA is proud of the above relationships and looks forward to strengthening and growing them in the future.